The stars in the night sky are captivating. They are intriguing. They are fascinating. And the students at Mary D. Lang Kindergarten Center experienced a starry night and so much more. 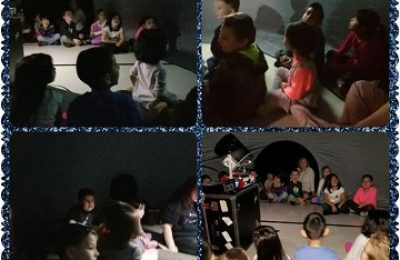 On February 22 and February 23, Ms. Denise Vacca brought the universe to school via a portable planetarium. 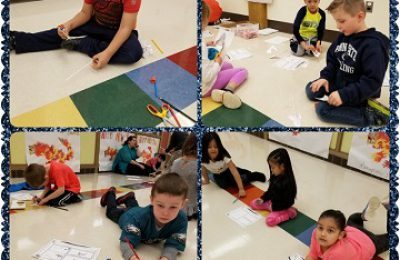 Students gazed into outer space and learned about planets, stars, and constellations. From their enthusiasm, it seemed as though the constellation, Leo the Lion was a fan favorite. He had an amazing resemblance to a friendly lion the students all know as Langley the Lion! 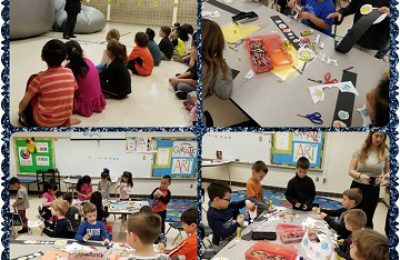 The planetarium served as a fantastic culminating activity to the school’s Earth Science curriculum, and the students were excited to respond to questions and share their knowledge about the planets and stars during Ms. Vacca’s presentation. What an out of this world experience! 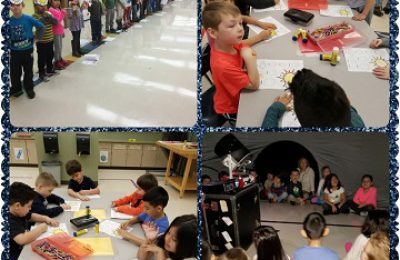 Students moved through three different space themed stations to learn about the planets and stars! 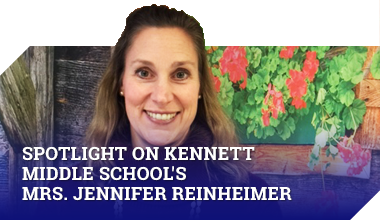 Students order the planets for a remarkable headband. Students participate in a STEM project during the Stars on the Move in-school field trip. Inside the planetarium a whole new world was available to explore!